IHBT jobs 2019 – Are you looking for a Central government job? IBHT has announced its recruitment for filling the vacancies of 02 posts in the post of Research Associate. 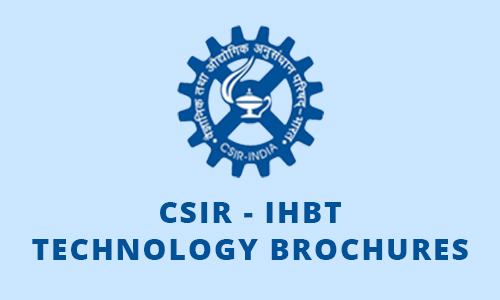 It will be a great opportunity for the persons who are seeking the jobs and candidates who are all looking for jobs in IHBT recruitment 2019. The notification dates for these postings are released on April 10, 2019. The candidates need not apply through the online application form. If the candidates are placed in the interview, they have to be posted on the Institute of Himalayan Bio-resource technology Palampur. The vacancies for these postings are available in two different categories. If you want any clear details regarding the postings, eligibility criteria and some other things have to be referred on the official website. The age criteria have been varied according to the category. For general/UR candidates, the age limit is 35 years of age. The age relaxation is extended up to 5 years for SC/ST/Women and 3 years for OBC candidates. The candidates have to satisfy the eligibility, and then only they can able to attend the interview. The walk-in interview has been going to be held on April 30, 2019. The interested candidates have to bring the original certificated mentioned on the official website. Research associate (‘Multiplex diagnosis for viral diseases in tomato and apple’) The candidates must have a thesis work in Ph.D. near the area of Virology. Research associate (‘ creation of aroma bank by Western Himalayas Biodiversity’) The candidates must be qualified with M.Tech./M.Pharma in chemistry or some other equivalent field with 2 years of experience and having 55% marks. Step 2: look for the career option and go through the advertisement thoroughly. Initially, you have to check the eligibility criteria regarding the educational qualification and age limit. Step 3: The interested candidates have to bring all the original certificates while going for the interview. The interview is going to be held on April 30, 2019.